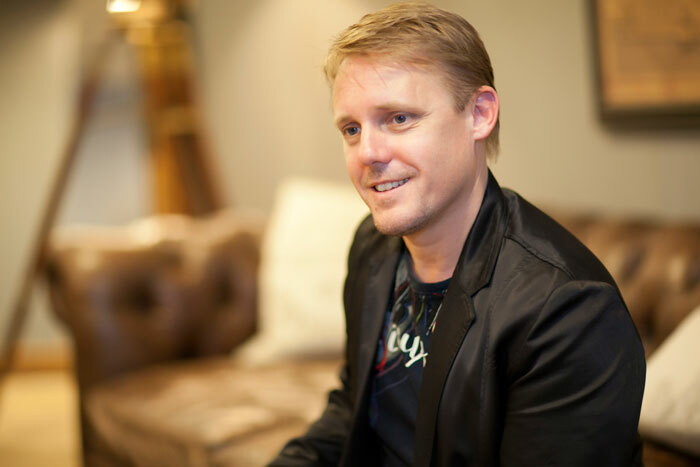 Psychologist Dr. Robi Sonderegger, who shared two powerful messages at City Harvest Church last weekend (March 9-10), talks to City News about how to apply his messages to the church and its members at such a time as this. You talked about Selah in your message, which is akin to Sabbath. How should we practise it? The Bible talks about the importance of Sabbath. And in the Old Testament, the penalty for breaking the Sabbath was death. But in the New Testament, Jesus described the Sabbath as being designed for man. And you can derive from a whole variety of implications of what might happen if you don’t keep the Sabbath; and the positive implications if you do. The word “holy” in the Bible is described as being “set apart”, and if we are separating ourselves from the busyness of the world to just hang out with our Father, that is the outworking of the Sabbath, pursuing holiness. So in the Old Testament, the penalty of breaking the Sabbath was death. But in the new covenant, things changed. Because if you break the Sabbath, you break yourself. A Formula One car driver needs to take a pitstop. But why is he taking a pitstop? Is he taking it to recover from the lap that he just did, or is he taking the pitstop for the lap that he is about to embark upon? There’s a fine balance: too much of a pitstop and you’ll lose critical time, and not enough of a pitstop will ultimately end in burning out. So we need to strike the right balance. I have four children and one on the way. My Sabbath is to hang out and play with my children, to be set apart from the busyness of life. We describe Selah as “to pause” or “to hang” to give emphasis to the things you value. And so by me modeling how to stop from the busyness and give time and energy to those I value, they internalize how valuable they are and the sacrifice that is being made for them. And so it’s a gift that I get to extend to them, but it’s not till I extend the gift that I realize the gift was really intended for me. So we go skiing! What about people who are caregivers for sick parents, or those who have a special needs child? How can they create time for Sabbath? The problem is, most of them don’t, and that’s the first challenge. The commitment to do it is really overcoming one’s guilt. Because a child looking after an elderly parent who might be ill often feels guilty that they have taken leave of absence to restore themselves, but in reality that’s the best thing they can do not only for themselves and also for the parent or their loved one they are looking after. Our number one strategy is to recruit or enlist help. It doesn’t have to be that people help you take care of the family member on an ongoing basis, but you recruit help for a Selah. So that the family that you recruit help for might take your children out for an evening, so you can go out on a date. Or you recruit help so that you can have someone looking after that loved one while you take a day off on a regular basis, to make sure you have a Sabbath. Because if you don’t, you too will burn out. For people with special needs children, one of the most common observations is when they have a special needs child and they never take that Sabbath, it’s not just physical burnout they experience, but the relationship breaks down. All too often, it ends in divorce, simply as a result of not taking a Sabbath. But the complication with that is now that they are divorced, they have even less help! They are now on their own, [taking care of their child]. What should that single parent do then? Same strategy: enlist help. It takes a village to raise a child, they say. It takes a community to maintain our mental, emotional, spiritual health. We were designed for community. We’re not an island. It’s not good for man to be alone, Bible says. Many hands make light work. The more assistance, the less the burden. Sometimes the assistance is just to make a meal. Or just to pay a visit. Or bring a bunch of flowers. It doesn’t have to be a major commitment. Many, many small things make for the best strategy. You said, if one does nothing, a relationship atrophies. What if there is a father whose relationship with his child has already reached that stage? What should he do? It’s never too late to start doing something. The message to the father is, it doesn’t have to be a big thing. It can be the smallest thing. A father could pick up his kid from school, and on the way home, stop at the football field to kick a ball, or stop and get some sushi. As the saying goes, “Love is spelt t-i-m-e” for children. And just that small amount of time is enough to grease the engine and get things running again. You taught that suffering and pain are not the same, drawing from Mark 4, when Jesus was asleep in the storm and the disciples panicked. You said we can choose not to suffer—but how? It’s all about what you choose to focus on. So it’s all about focus. Because if you focus on the storm, then misery is the result. But if you focus on Jesus, it doesn’t have to be the result. Peace can be the result, as an alternative. So we go ahead and lie down in the back of the boat next to Jesus and that might seem to some people like you’re doing nothing. But you are actually doing something of great significance. It takes a massive leap of faith to curl up next to Jesus at the back of the boat. It’s perhaps the most courageous thing we can do. It requires trust. How can you find purpose for your pain? And the third way is to look at it pro-spectively: What possible good could come out of this? What possible expansion of God’s territory? That’s the hardest one. We don’t know what could possibly come of it. But we can look at other people’s lives as a reference point. For example, the apostle Paul spent many years in prison, and we might be facing prison ourselves. But his best ministry years were not before he went to prison. His best ministry years were while he was in prison. He had a greater impact for the Kingdom, and so I can pro-spectively look at it, no matter what circumstance I might be facing, that I, too, despite the circumstances, can have an even greater impact in the future. Our church is facing many battles, both physical battles and battles of the mind. How do we overcome these, practically? The key is having a great vision. When we’ve got something to look to, we know where we’re going. If we don’t know where we’re going, we’ll never get there. People without vision perish. But when there is vision, then I can see clearly. In psychology we say, “whatever you focus on, you get more of.” So if we’re worried about what’s transpiring, we’ll just get more anxious. But if we are focused on the future of this church—”This church is going somewhere! We’re embarking upon brand new projects!”— it looks like there’s mobility taking place. There was an airline called Continental in the US that filed for bankruptcy. It was the poorest-run airline. And so the management came along and gave the staff a challenge, and that was to refocus their attention on becoming the best. They gave everyone a challenge and an incentive that if they could be listed by the end of the year among the top five airlines, then everyone would get a financial bonus. The top five airlines were defined by excellent service, so the quality of service Continental offered would be radically transformed. So, instead of everyone saying “Oh we’re going broke and everything is falling apart” there was a new vision to focus attention on quality and by the end of the year, not only did they achieve top five, they were named Airline Of The Year. How do we keep God’s peace at a time like this? It’s not something you achieve and then you have it. It’s something you work at. We describe peace as Vitamin C. Vitamin C is not stored in the body. You have to keep eating oranges, or you have to keep ingesting food that is rich in vitamins in order to maintain helath in your body. In the same way, when the Bible says “Rejoice in the Lord always” in Phil. 4:4, it’s not an emotional state of being, it’s an activity that we are required to do on a daily basis. In fact, not just daily but always. And what is rejoicing? It is the outworking of being thankful, being able to find something in the middle of the storm to be grateful for. Finding something to appreciate despite the current circumstances. So people who are able to find five things a day — at the end of the day, despite the circumstances, to be thankful for— end up maintaining that peace, or that vitamin level in their body; maintaining their health. 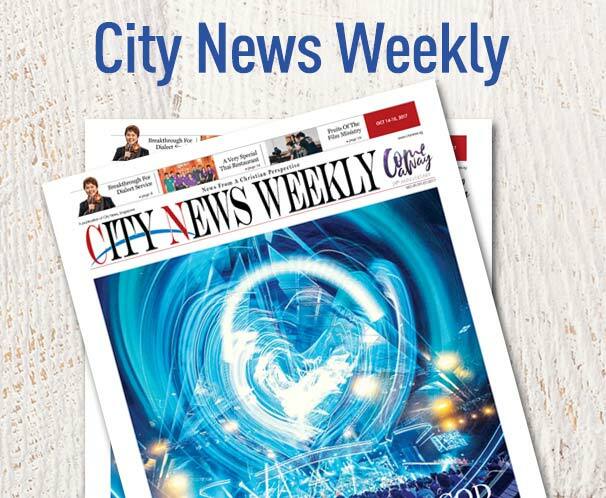 What should City News‘ role be, as the news media arm of CHC? An enemy’s strategy is always the same: it is to divide and conquer. So conquering is through division. So the voice of media can play a strategic role in promoting unity, because where there is unity, God commands a blessing. When we have a vision that the church is doing something new, we’re embarking on a new project, we’re going new places, we’re doing new things, everyone gets galvanized and can rally around a cause. Whereas if we’re just staying stationary and no-one know what’s going on, then we just get worried. So we need to make sure we don’t atrophy by doing nothing. We get going by doing something. Excitement is also contagious. If there are some great testimonies as a result of the new embarkation that the church is going on, those things are powerful for galvanizing people.